Under the influence of the English language, which is predominantly used online, people often forget that different writing systems exist, especially speakers of languages which use the Latin alphabet. In reality, there are many writing systems in the world and they can influence your translation process. Let’s break it down! What is a writing system? Writing system is a set of characters that make up scripts used to visually represent verbal communication. The same writing systems can use multiple scripts, and individual scripts can have different directions in which they are written like left-to-right and right-to-left scripts. The main writing systems are alphabets, syllabary and logographic. The most popular alphabet in use today is the Latin alphabet, which is modified for many languages to represent different phonemes. The second most popular would be the Cyrillic alphabet, written in Cyrillic script. Syllabaries are writing systems in which each character represents a syllable. Two contemporary examples are the two syllabaries used in Japanese, hiragana, and katakana. These two syllabaries are used together with kanji, and sometimes even the Latin script. In logographic systems, a character represents a word or a phrase. The best known modern example of a logographic system are Chinese characters, along with Japanese kanji. How can writing systems influence translation? Depending on your audience, the writing system and scripts will change accordingly. This means that you need to keep these differences in mind when you enter a certain target market. Just imagine having a product, be it a website or a mobile app, optimized only for English (so, a Latin script written from left to right). Next month, the product needs to be localized into Arabic and Japanese. If you don’t plan such a localization project with your language service provider, you will be overwhelmed by the potential problems. Will the translation fit the buttons used in your product, how should the images be displayed to match the translated content, can you support different fonts which need to be used, what will be the final look of the localized product? Believe us, smooth localization process is worth planning in advance. The English language uses an alphabet as a writing system, written in Latin script, and the direction in which the script is written is left to right. The Russian language uses an alphabet as a writing system, written in Cyrillic script, and the direction in which the script is written is left to right. The Arabic language uses an alphabet as a writing system (some will say it is an abjad – an alphabet where symbols mainly represent only consonants), written in Arabic script, and the direction in which the script is written is right to left. The Serbian language uses an alphabet as a writing system, written in Cyrillic or Latin script, and the direction in which the script is written is left to right. The Japanese language uses syllabaries and a logographic writing system, written in hiragana and katakana (syllabaries) and kanji (logographic), and the direction in which the script is written is top to bottom or left to right. Luckily, our system supports all the writing systems and scripts mentioned above. We are here to help you with the project from start to finish, along with the native speakers with the expertise in target markets you are entering. 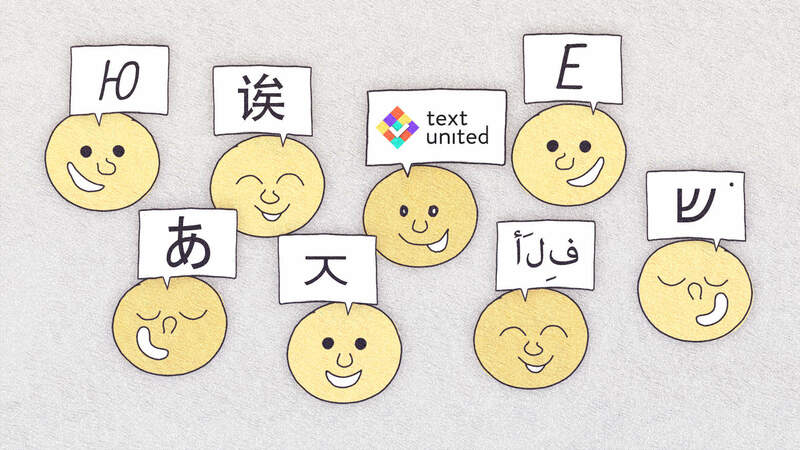 Don’t let any writing system be an obstacle in conquering the global market – feel free to reach out to us!